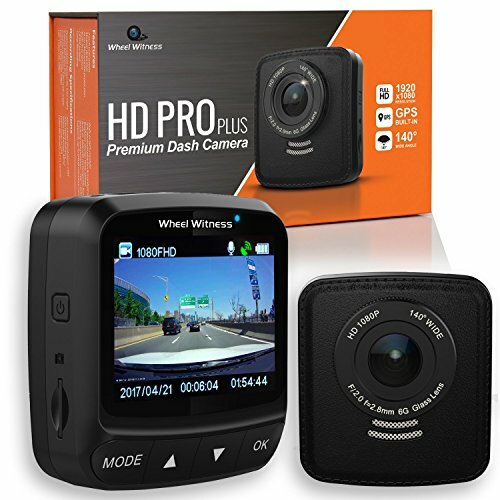 WheelWitness HD PRO PLUS Premium Dash Cam WiFi & GPS is currently selling at $154.99, which is its normal price. It has a lowest price of $154.98 and is selling within its usual range. Price volatility is 0.45% (meaning it does not change often), so the price should stay low for a while. Until then this is a recommended 'good deal'. There is a coupon available for an additional 20% off. 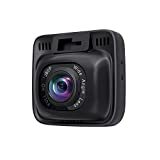 Compare the current price, savings (in dollars & percent) and Buy Ratings for the top Dash Cams that are closely related to WheelWitness HD PRO PLUS Premium Dash Cam WiFi & GPS. Here is how WheelWitness HD PRO PLUS Premium Dash Cam WiFi & GPS compares with other leading Dash Cams. 100% GUARANTEE - WheelWitness is a technology dash cam company proudly based out of NYC! We have exceptional support and guarantee your 100% satisfaction, or your money back! Have a technical question? We will answer all inquiries within 12 hours. FeaturesEASY "Plug & Play" INSTALLATION - The WheelWitness HD PRO Plus Dash Cam is super simple to install. Just insert the SD card, mount the suction cup and plug in the power. 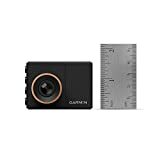 The camera will AUTOMATICALLY Power ON/OFF with your vehicle!ON-THE-FLY-ZOOM - The only dash camera to offer On-The-Fly-Zoom function which will let you zoom (4X) while still continuing to record. This function really makes it easy to zoom into a license plate and helps you protect yourself!EASILY REVIEW, TRANSFER & SHARE RECORDINGS - The HD PRO Plus Dashboard Camera if fully compatible with Apple iPhone (iOS) & Android Smartphones allowing you to fully control the camera from your smartphone as well as transfer the files instantaneously so you can share online or have video proof on your phone! 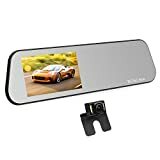 Of course you can also insert the microSD directly into your computer and transfer the files that way!PREMIUM VIDEO QUALITY - The Sony Exmor IMX322 CMOS Sensor coupled with a real 6-Glass precision lens allows the HD PRO Plus Dash Cam to record crystal clear in both Day & Night Time! Full High Definition Recording & Exceptional Night Time Vision Performance!